It’s hard to believe it, but I’ve ridden my two bikes a total of 1044 miles since I bought the first one in late April. When I first got the hybrid bike in April, several miles was a ride. a dozen miles was downright painful. 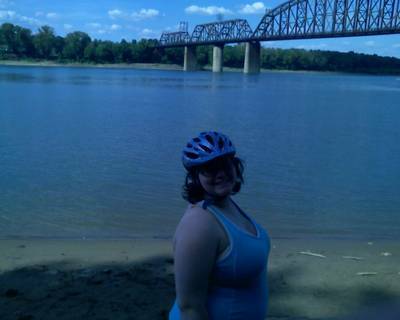 Today, I rode about 18 miles, including some killer hills, and I feel great. 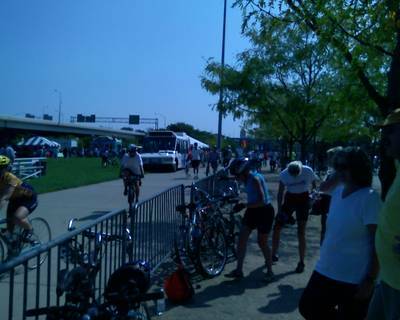 The 18 mile ride is a short ride, I have ridden a 50 mile ride. 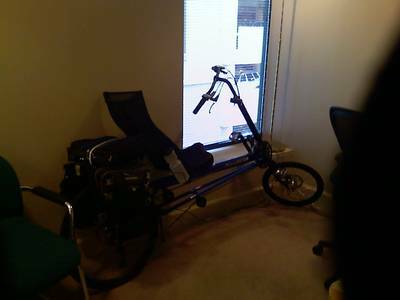 Of those miles, about 650 was on the recumbent. The rest was on the hybrid. I’m still pushing myself to go farther and faster. I’d like to measure my rides in hundreds of miles. I’ll need to be in better shape, and have some time off of work for that though. Three days in a row now, my weight has been under 240 lbs. Tonight’s weight was 238.6. I only have 63.6 lbs to go. I’ve already lost 57.8 lbs, so I’m nearing the half-way point (60.7). I only rode my bike to work two days this week. I don’t really have any good reasons for that. I need to buckle down and ride more. I still rode almost 100 miles this week though, due to other rides I went on. I’ve been doing some minor weight lifting with dumbbells. I’ve found that light lifting actually helps my neck/shoulder/back/arm pain I’ve been dealing with for months. I don’t know if it’s due to strengthening the muscles, or keeping everything flexible, or both. I’m also moving the progress pictures to their own page, and linking to it on the right. I was pretty bummed that I didn’t ride to work today. I planned on taking a quick 11-mile ride after work, but first, I wanted to fix the flat on my hybrid bike. After removing the tire, and inspecting it for debris, I discovered a large tear in the sidewall. Well, I had a spare tube, but not a tire. So, instead of an 11 mile quick ride, I went on a 28-mile round trip ride to the bike shop to buy a tire. It’s also the first real ride on the recumbent since putting on the clipless pedals. I did great all of the way to the bike shop. I pulled up out front of the building, stopped, and with a sinking feeling, realized I hadn’t unclipped. I fell to the right. I scraped my elbow a little, but nothing serious. I actually started laughing at my timing. The whole shop had seen it happen. I bought a tire, and headed for home. I’m glad I have good lights, as it got dark before I got home. I’ve ridden around town at night before, but this was the first time on the highway at night. I fully intended to ride my bike to work all five days this week. 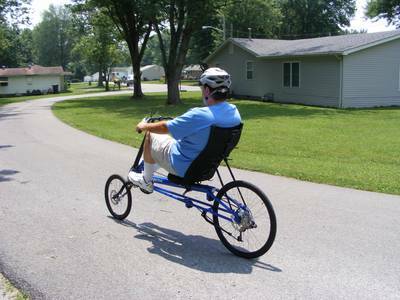 I installed clipless pedals on my recumbent, but haven’t got around to riding it yet, and I’m not ready to ride it in traffic until I get used to them. So I got on my hybrid bike this morning, and headed for work. I got about 1/2 mile away from home when my rear tire blew out. I could have fixed it in about 30 minutes, but I went home, and drove to work instead. At least I know what I’ll be doing after work today. I mentioned before about making September a car-free month. It’s not going to happen this year. I was unable to convince myself to ride to work on Friday. I was really sore. On the bright side, the rest on Friday allowed me to ride over 50 miles on Saturday. I’m also not riding today (Sunday). I do intend to be back on the bike first thing tomorrow to ride to work. Saturday morning, I got up early, and rode to Sellersburg to meet up for the “slowspokes” ride. 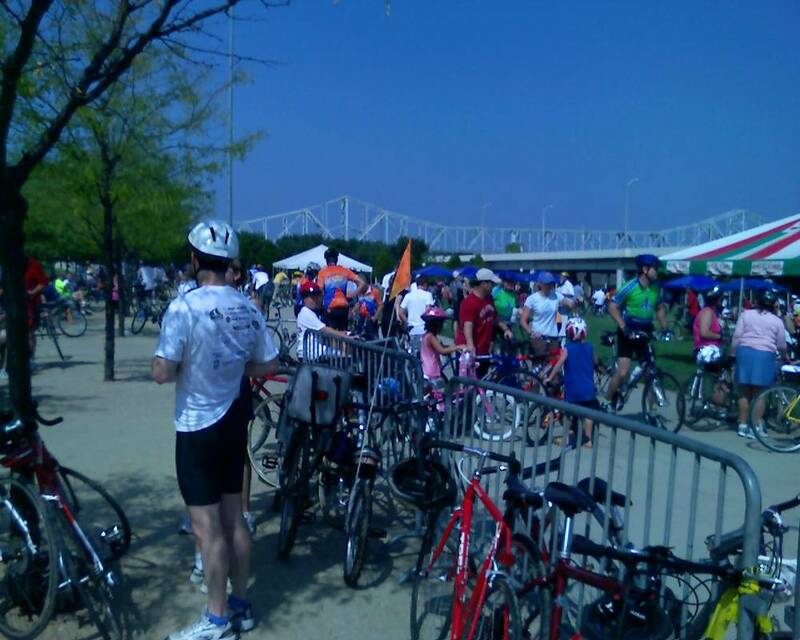 They are organized by the Southern Indiana Wheelmen for slower riders. I met some friendly people, got some tips for my commute to work, then we were off. The “fast pack” quickly lost me. I tried to keep up with them, but it didn’t happen. The slower riders fell far enough behind that I didn’t see them anymore. I was riding alone. There was a truck stop along the route that I thought was a regroup area, there was nobody there. I finished the 28 mile ride without seeing anyone. The cars for the faster riders were already gone. Still no sign of the slower riders. I waited 30 minutes, and with no sign of the slower riders, I rode back home. I was a bit disappointed that the ride turned out this way, but I still had fun, and enjoyed the route. The cue sheet was easy to follow, and the route was scenic, if a bit hilly. I’m considering making September of this year car-free. I haven’t yet committed to doing it, I’m trying to determine if it is feasible for me yet. If I do it, and it goes well, I may do it for September of every year. 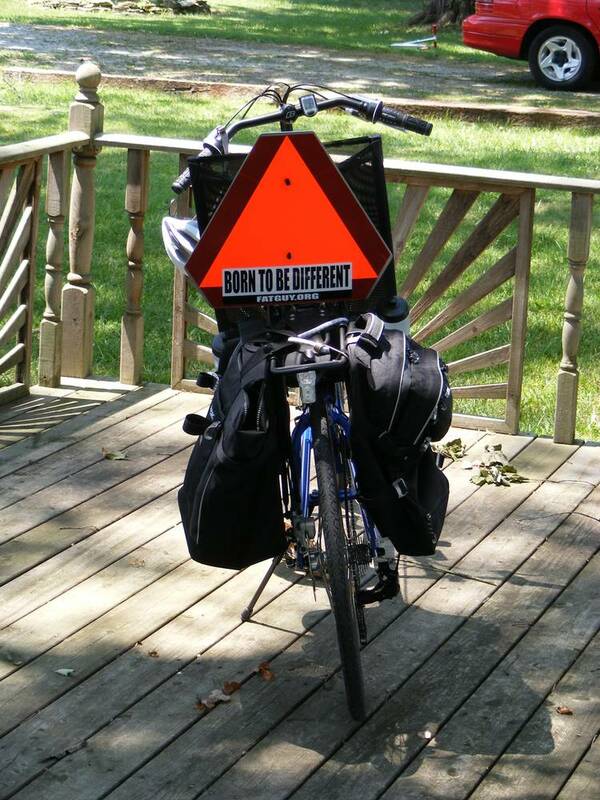 Dave Moulton gives a good story about why you shouldn’t ride a bike on the sidewalk. So, if you see a cyclist in the road, don’t yell at him to get on the sidewalk. I’ve now ridden my new recumbent to work for the third day in a row, and I intend to do it again tomorrow. It’s a great bike, and it’s comfortable. I had planned to attend a group ride tonight, to get to know more people and get some extra riding in. However, that would bring my total riding for the day to over 60 miles. I’m not ready for that. I canceled my plans for the group ride. I still want to attend some slower-paced group rides. I’ll probably find some on the weekends, to avoid having to commute to work, and ride again. I fully intend to ride to work again tomorrow. That means I’ll have put about 150 miles on my bike in a week (commuting and other riding). I’d like to get to commuting five days a week, plus a nice weekend ride. That would get me about 200 miles per week. It is kind of cool, that it is Thursday, and I haven’t even started my car since Monday. I’m traveling to Niles, Michigan (in the southwest corner of the state) for the weekend. I’m going to my oldest daughters graduation party. I’m traveling with my wife, even though we don’t live together anymore. We’re taking her van, and I want transportation while I’m there, so I’m bringing my bicycle. The interesting thing is, I know all of the streets in that town. I used to deliver pizza there for Pizza Transit, and Milano’s. I’ll be staying alone in a hotel, and riding my bike around town just to kill time. I’m hoping I can find enough to do to avoid getting bored. It’s a small town, so I can ride anywhere in town in a reasonable amount of time. I may have to get re-acquainted with some of the popular hang-outs. I used to have quite a few friends in Niles, but most of them have moved away, died, or lost touch. It’s strange, I’ve only been away for eight years. I haven’t used the elliptical since April. Maybe is was a mistake to buy it, but I didn’t know at the time that I would be replacing it with a bicycle. I will be riding the bicycle year-round, so I don’t need the elliptical. I’ve been needing a second car. My current car is in pretty bad shape. I traded the elliptical for a ’97 Thunderbird. Now I have two cars, and no car payment. I’ll also have more room in the livingroom for an exercise mat. I really wanted to commute by bicycle all four days that I’m working this week. (I have Friday off). I did commute today, and on the way home, pushed myself harder and improved my time by ten minutes. Pushing myself might have been a bad idea. My legs are toast. I’m going to drive tomorrow. It was fun though. On one flat stretch of about 2 miles, I was able to keep a steady speed of 20 mph. My usual pace is 13-14 mph. My legs and lungs were burning though. 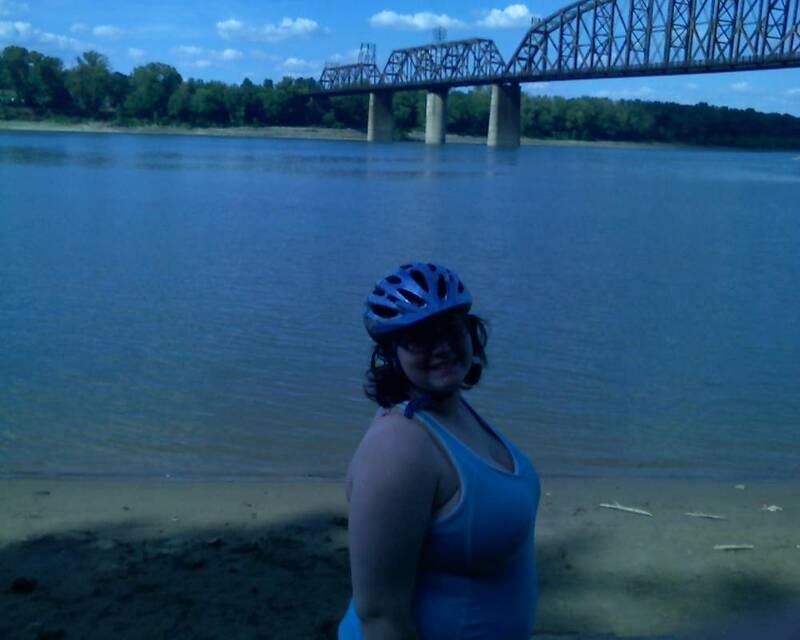 I went for an 11 mile ride on Saturday, and did about 14 miles of riding on Sunday. It wasn’t enough to prepare for my 32 mile round-trip commute, especially pushing for better time. I also noticed that I ate more today (2255 calories). Is it just bad habits returning?, or the fact that I burned more calories? In either case, today’s weigh-in was at a new low of 253.8 lbs, which means I’ve lost 42.6 lbs. I expect that some of that is dehydration from the ride home.